Broken windows or seals? Need new hardware or updated vents? Our team of specialists can help you quickly and effectively solve your glass problems. Our team of glass technicians can work around your schedule to fix most window problems. Our mobile trucks will bring the solution right to your door. C&C Glass creates some of the most beautiful glass backsplashes for your kitchen. You might wonder how your kitchen went without it.They serve the functional purpose of protecting your wall while adding elegance and beauty to your kitchen space. C&C’s glass backsplashes add an element to your kitchen or bar area that you just will not be able to get from other materials, such as stainless steel or tile or any other man-made products. A glass backsplash adds a whole new option of uniqueness, style, and liveness to your kitchen. 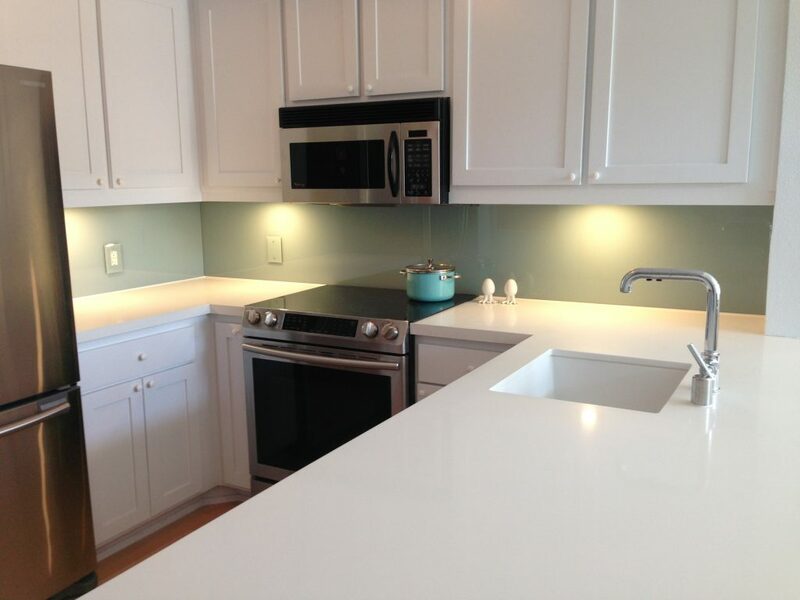 There are many options you can choose from when it comes to our glass backsplashes. Your backsplash can be textured or plain, all depending on what look you want and comes in many colors and patterns. You never know when thief, vandals or a natural disaster strikes. You need to secure your property after a break-in, vandalism, natural disaster or your glass has simply shattered. Boarding up your property prevents additional damage from the elements, additional break-ins and vandalism. When the unexpected happens you can count on C&C Glass to protect your home, office, or business and the valuables inside. There is no job too big or small for the expert board up technicians at C&C Glass. Looking for a solution to protect your dining table from damage? A glass table top is a beautiful solution to keep your tables protected for years to come. Glass can be custom cut to fit your table. Glass shelves offer a modern look and blend well with any décor and make an excellent accent in a kitchen, bedroom, bathroom, bar or office. From adding new bookshelves or space inside a cabinet, glass shelves bring a touch of elegance to any room. They are less intrusive than wood or metal shelves, allowing light to pass through and offering opportunities for attractive lighting from above or below to create a truly amazing look. Is your bathroom mirror silvering? Remodeling your bathroom? We custom cut and install mirrors. The clean look of a glass wall and the virtually unobstructed view it provides. The AWS System is superbly suited as a sound wall along busy streets and highways. Our system provides a much higher sound transmission rating than conventional fencing. It is low maintenance. All components are specially coated to prevent corrosion and ensure that the property owner will be satisfied for many years. It adapts to a wide variety of terrain and wall designs. It can easily handle slopes, steps, and curves. In addition, the system is ideal for pool areas, decks, and balcony applications. This system can be installed during almost any phase of construction, allowing the builder or contractor important scheduling flexibility. 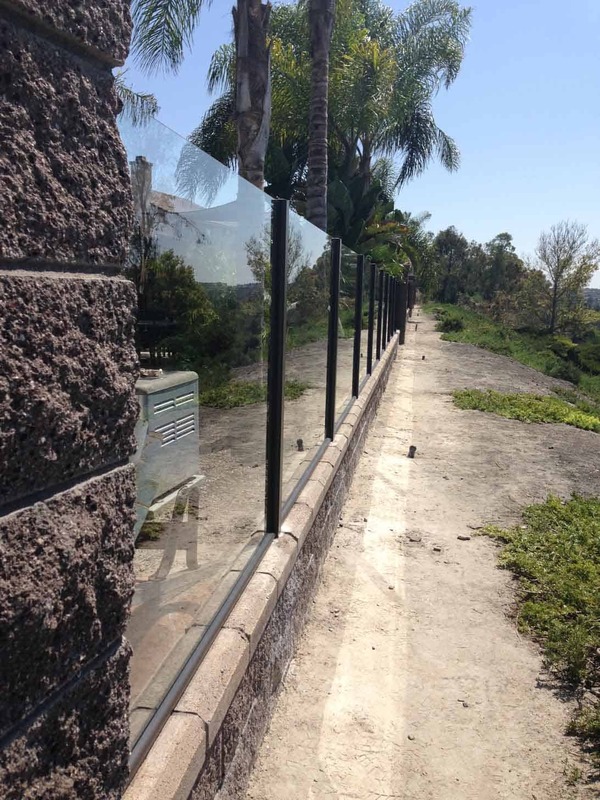 The wall system has been designed to provide a safe, transparent fence during high wind conditions. All glass installed must be fully tempered to meet all safety requirements and building codes. Because of this efficient design, our system is priced very competitively to other less attractive alternatives, such as wrought iron or wood fencing. Visit our contact page to send us a message and get your glass repaired today! C&C Glass has been serving the glass and window needs of San Diego for over 40 years. With locations in Chula Vista and Kearny Mesa, we can help you with window or door replacement, glass installations, and commercial construction. We are proud to be a Women-Owned Small Business (WOSB) Program Certified. We are certified Small Business (SB) through the Department of General Services.